This Prep ensemble is open by audition to intermediate to advanced cello players. Cellists will work together with members of the Boston Cello Quartet to prepare music in a variety of styles and sharpen their ensemble skills. 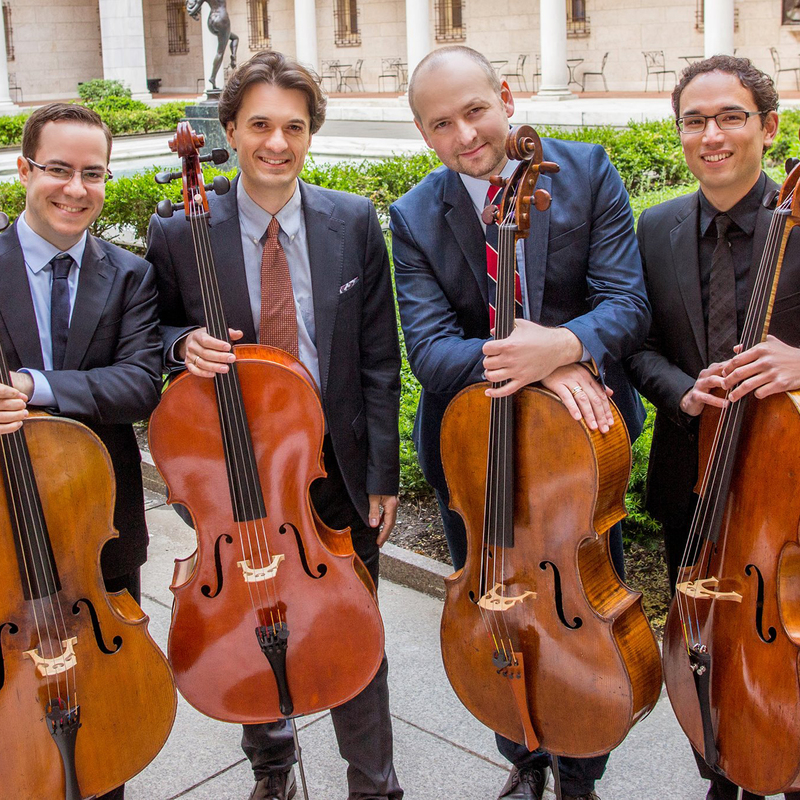 The Boston Cello Quartet was founded in 2010 by four of the Boston Symphony Orchestra cellists, Blaise Déjardin, Adam Esbensen, Mihail Jojatu, and Alexandre Lecarme. Since its acclaimed debut concert, the BCQ has quickly won the hearts of music lovers through its arrangements of staples of the classical music repertoire, as well as jazz, contemporary works, and even comic medleys, all of which showcase the limitless possibilities of the instrument they love. The Cello Choir calendar will be available in Mid-August. Attendance at all rehearsals, dress rehearsals, and performances are mandatory. The full attendance policy may be reviewed here. Contact Laura Mixter, Large Ensemble Coordinator, by email, or call the NEC Prep hotline at (617) 585-1160 for more information.